Stooshe have premiered the music video for their new single online. “My Man Music” is taken from the British trio’s debut album, “London with the Lights On,” which is now available via Warner Music Group / Future Cut Recordings / Warner Bros. Records. The track was written by Joanna “Jo” Perry, Diana Barrand, Alexandra Buggs and Courtney Rumbold along with Darren Lewis and Tunde Babalola of Future Cut, who are also responsible for singles “How Ya Doing?” by Little Mix [Columbia Records] and “Army of Two” by Olly Murs [Epic Records]. Other contributors on “London with the Lights On” include Andrea Martin (Cheryl Cole, Jennifer Hudson), Lindy Robbins (Jordin Sparks, Nicole Scherzinger), Ed Drewett (The Wanted, Dionne Bromfield), Shaznay Lewis (All Saints, Mutya Keisha Siobhan) and Chris Braide (Lana Del Rey, Diane Vickers). Previous releases – “Love Me,” “Black Heart” and “Slip” – have charted in the UK Singles Chart at numbers (5), (3) and (12) respectively. Stooshe have announced the details of their new single. The British girl group – consisting of members Karis Anderson, Alexandra Buggs and Courtney Rumbold – will release “My Man Music” as the fourth promotional single from their debut album “London with the Lights On,” out now via Warner Music Group / Future Cut Recordings. The track was written by Joannna “Jo” Perry and Diana Barrand along with Darren Lewis and Tunde Babalola of Future Cut, who are also responsible for “Anyway” by Jamie Cullum [Island Records], “Case Closed” by Little Mix [Columbia Records] and “Army of Two” by Olly Murs [Epic Records]. “London with the Lights On” – which features former hit singles “Slip” and “Black Heart” – boasts further songwriting contributions Lindy Robbins (Brandy, Selena Gomez), Ed Drewett (Dionne Bromfield, The Wanted), Chris Braide (Diana Vickers, Kylie Minogue) and Andrea Martin (Fantasia Barrino, Leona Lewis). “Slip” – available to download from May 12 – is slotted for inclusion on the British band’s upcoming self-titled debut album. The highly-anticipated project will hit the shelves on May 27 via Warner Music Group / Future Cut Recordings. The track was written by Joanna “Jo” Perry and Mo Brandis along with Darren Lewis and Tunde Babalola of British songwriting and production duo Future Cut, who are also responsible for singles “Army of Two” by Olly Murs and “How Ya Doing” by Little Mix featuring Missy “Misdemeanor” Elliot. 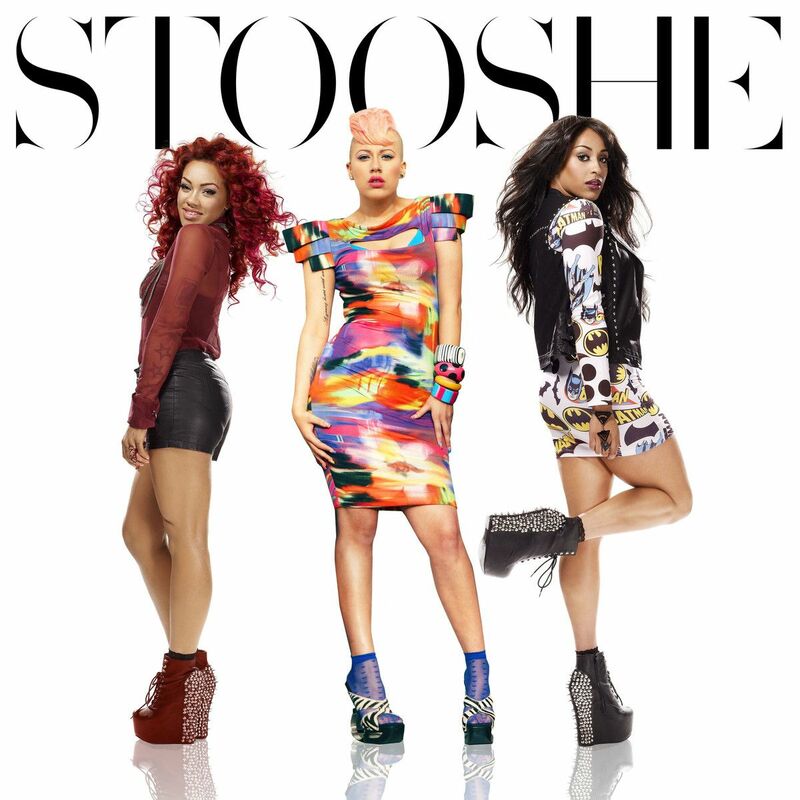 Stooshe have revealed the official artwork for their new single. “Slip” is taken from the British group’s upcoming self-titled debut album, which is due in the UK on May 27 via Warner Music Group / Future Cut Recordings. The track was written by Joanna “Jo” Perry and Mo Brandis along with Darren Lewis and Tunde Babalola of Future Cut, who also handled production duties. Recent credits by Lewis and Babalola include “Army of Two” by Olly Murs [Sony Music Entertainment / Epic Records] and “How Ya Doing” by Little Mix [Sony Music Entertainment / Columbia Records]. Future Cut have also been drafted for the next albums by Little Nikki [Sony Music Entertainment / RCA Records], Dionne Bromfield [Universal Music Group / Island Records], Lewis Hamilton [Universal Music Group / Polydor Records] and Mutya Keisha Siobhan [Universal Music Group / Polydor Records]. Stooshe have confirmed the official release date for their upcoming debut album. The British girl band – consisting of members Alexandra Buggs, Karis Anderson and Courtney Rumbold – will release the highly-anticipated project in the United Kingdom on May 27 via Warner Music Group / Future Cut Recordings. New single “Slip” – available to download on iTunes from May 13 – was co-written by Mo Brandis, Joanna “Jo” Perry, Darren Lewis and Tunde Babalola. Meanwhile, production duties were handled by Future Cut. Other musicians backing Stooshe on the self-titled project are Chris Braide (Diana Vickers, Lana Del Rey), Lindy Robbins (Jason Derulo, Toni Braxton), Ed Drewett (Olly Murs, Dionne Bromfield), Andrea Martin (Leona Lewis, Melanie Fiona) and Shaznay Lewis (Little Mix, Mutya Keisha Siobhan). 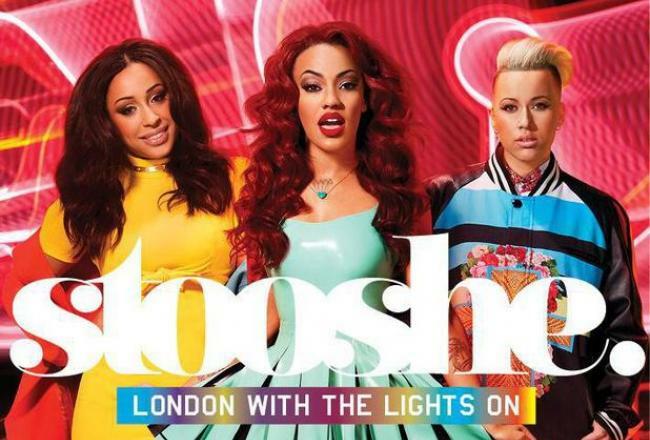 Stooshe have confirmed the title of their new single. The British group – consisting of members Alexandra Buggs, Karis Anderson and Courtney Rumbold – will release “Let It Slip” as the next promotional single from their upcoming self-titled debut album, due later this year via Warner Music Group / Future Cut Recordings / Warner Bros. Records. As previously reported, the new collection by Stooshe will boast productions and songwriting contributions from Future Cut: Darren Lewis & Tunde Babalola (Ginny Blackmore, Nicole Scherzinger), Shaznay Lewis (Pixie Lott, Little Mix), Chris Braide (Diana Vickers, Lana Del Rey), Andrea Martin (Melanie Fiona, Jordin Sparks), Ed Drewett (Olly Murs, Dionne Bromfield), Tanya Lacey (Cover Drive, The Saturdays) and Lindy Robbins (Demi Lovato, Selena Gomez). The track – written by Jo Perry, Leon Thomas III, Kirk Hylton and Scotty Granger – is slotted for inclusion on the British group’s upcoming debut album, which is due on March 2013 via Warner Music Group UK / Future Cut Recordings. As previously reported, among the other musicians backing Stooshe on the self-titled project are Future Cut: Darren Lewis & Tunde Babalola (Laura Izibor, Nicole Scherzinger), Andrea Martin (Leona Lewis, Cheryl Cole), Lindy Robbins (Jordin Sparks, Toni Braxton), Chris Braide (Sia Furler, Lana Del Rey) and Ed Drewett (Olly Murs, Dionne Bromfield).